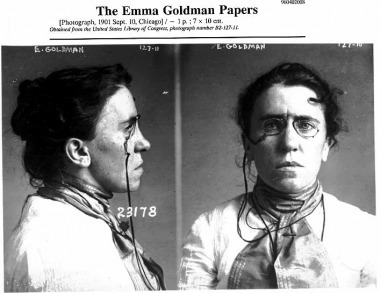 This video gives in-depth information about Emma Goldman with comments from a historian and a playwright who really know a lot about her. If you are interested in learning more about Goldman, I recommend this video. It is about seven and a half minutes long and is well made. 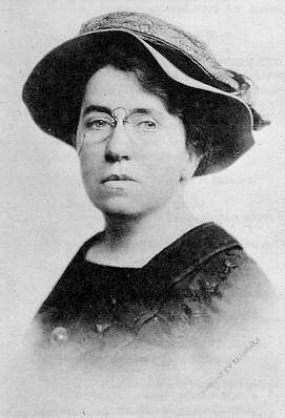 This is a picture of Emma Goldman in her younger years when she was about twenty. 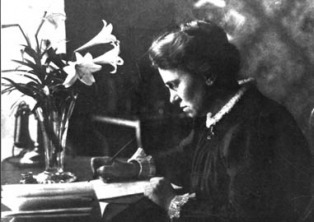 This is Emma Goldman working on her anarchist journal, Mother Earth. This is Goldman's mugshot from 1901. 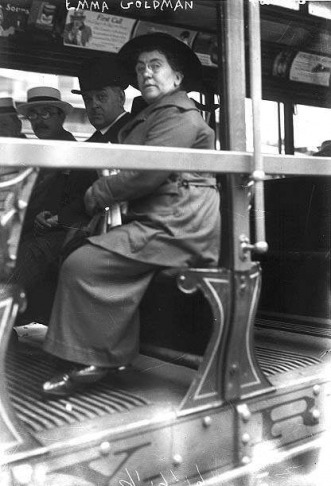 This is a shot of Emma Goldman riding in a street car. 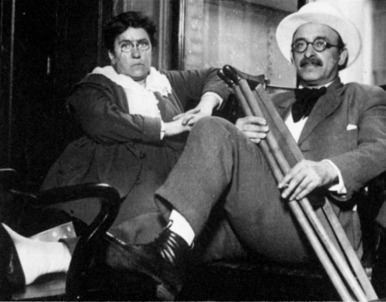 This is a picture of Emma Goldman and Alexander Berkman, lifelong friends. 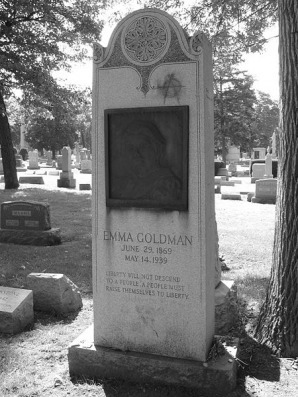 This is Emma Goldman's grave in the Waldheim Cemetery, Chicago. Notice the drawn anarchy symbol on the top right corner of the grave.